Winter is a time of hibernation and nesting, naturally, home improvement ideas inspire homeowners to revamp their interior spaces to be a clearer reflection of their creativity and lifestyle choices. Trends this winter follow an overarching theme of reconnecting with nature and bringing natural elements into our home spaces. Recently we all are experiencing a growing desire to reconnect with nature. The Pantone choice for Colour of the Year 2017 confirmed it too. Expect to see a lot of wood as a main material, but perhaps with a super smooth finish. Textures also present themselves as a fantastic way of adding depth and personality to our living area. Key furniture items and lighting take on a life of their own, making great statement pieces set upon a background of muted colours in a range of neutrals and a palette of greys. Read on for more inspiration. Walls and floors assume muted tones this season, as a solid base on which to introduce statement pieces. Neutrals such as white, beige, pale grey, camel and blush pink warm and calm our homes, whilst key lighting features such as free-standing lamps in coppery brass or rose-gold are the features that add personality. Antique and crafted pieces of furniture also introduce a quirky element to our living areas and can be picked up from antique stores, or found at bargain stores and refurbished. Grey has been creeping into interiors for a couple of seasons now, but this Winter assumes a wide spectrum of grey options, a whole range of lights to darks. Some trendy homeowners opt for a crisper, softer grey paired with blush pinks or camel tones, and on the flip side of the coin other are choosing dark, sombre greys and bold charcoals set against rich berries and velvety fabrics for major impact. This Winter, high gloss textures and natural leathers are combined with chunky knits in muted tones, from white to grey and natural, for a stunning visual effect. Natural textures, like wood and leather, are used to rekindle our human connection with the outside world. The need to switch off from the digital world and step outside is confirmed by Pantone’s choice of the colour of the year: greenery. Hanging plants and aloes in terracotta pots introduce nature’s power to revive and restore the senses. Patterning is a way of creating texture out of flat surfaces, by way of patterned Moroccan wall tiles, patterned scatter cushions and rugs and patterned wallpapers. Patterned fabrics can bring in rich splashes of colour and a burst of fun to our interior environments. Bright, beautiful blonde wood and wood looks are new and trendy, made possible by stain colours in wheat and other natural shades. Earthy colours are set to become increasingly popular in 2017…They’re both warming and calming, and they look wonderful offset against neutrals. Grey is still new enough to be trendy, but soon it will become a classic staple in many stylish homes. A spectrum of grey options, from silver-grey to charcoal, can be achieved by staining unfinished oak flooring to the grey you desire using Oleum or Rubio Monocoat. 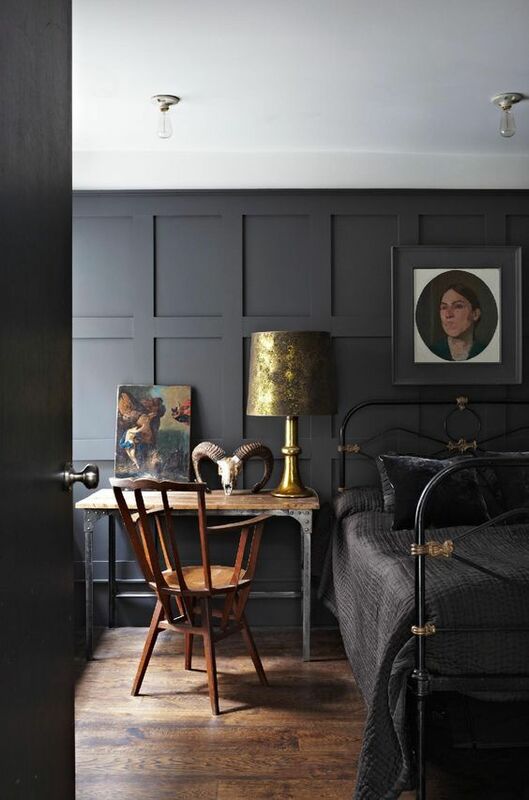 There seems to be an ongoing demand for darker interior…Combined with rich plush textiles like velvet and matched with sleek woods and warm metals they create a sophisticated luxurious ambience that rocks the senses. Wooden flooring is the perfect way for homeowners to capture the style and durability of this international trend. Wood, in its raw state, can be finished in a range of colours, from Extra White to Extra Black, reflecting the international colour and mood trends for Winter 2017. Finfloor offers homeowners a stunning range of wooden flooring and finishes.